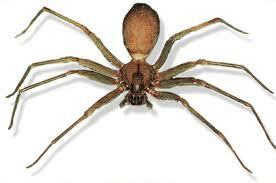 Over the years I have been bitten many times by various types of spiders including the Brown Recluse Spider. While many spider bites simply go away on their own and do little but itch and welt up, the spiders that have a bad bite that typically require medical attention can indeed pose a problem and in a Grid Down situation or even back country situation where medical attention can be in doubt (or even now given the sky high costs of medical attention and the many people who don’t have insurance) there are ways of dealing with these bites. First, anytime you suspect a spider bite, time is of the essence. The faster you begin treatment the better the outcome and less likely you will need outside intervention. Step one is to clean the wound area well this cannot be stressed enough! Bergamont essential is excellent for preventing abscessing, pain, itching and infection. It is my FIRST line of defense with any type of ‘puncture’ wound including spider bites and sticking things into various body parts (that is another story). Straight oil, no dillution. A few drops on site (you may, if its not abscessed, spread the oil to completely cover the area and go just a bit outside of the puncture site. If it is abscessed, just use a dropper and throughly cover the open wound and surrounding area. Keep uncovered and keep the wound out of the sun if it is abscessed, if not keep it covered using a cotton gauze pad. Use this oil on site every 3-6 hours depending upon severity of the wound. This alone should keep things under control until the body can get rid of the poison itself. It has worked many times for me over the years, including one instance (the first time I was ever bit) where the spider bite was abscessed to the size of a half dollar. No antibiotics needed, just the oil. With the abscessed wound it took about 2 weeks to completely heal but it did with minimal scarring. Without the abscess it was done and over in about 5 days. Alternately you may use basil oil. Use only when not abscessed and apply with lavender oil 2-3 times daily..layering the oils (meaning use first one, waiting a bit and then applying the other). Word of caution using Basil oil: some people will/can react badly to this oil. It would be wise to test yourself way before needing it. It will feel like it is ‘burning’ and the skin may become red, but this is typical and will not hurt you. Another way is to simply use a blend of lavender, tea tree, rosemary, citronella and myrtle…equal parts…though personally I use this blend in conjunction with bergamont to prevent infection and help to draw out the poison. Though I will note it is not imparative to use this blend. Tea Tree oil will help with swelling, infection and itching. Plantain leaves, crushed and poulticed. You know you have plantain on your hands if you see 5 veins on the leaf and it flower stalk sticks straight up into the air, often seen in crack in the sidewalk and disturbed ground areas…it is a common ‘weed’ and Take one tablespoon crushed leaf juice every hour, at the same time applying the bruised leaves to the wound. The dried leaves can also be used when soaked in water or herbal tea. Plantain tea can be used as a wash to bathe the area often. (this is excellent for bee/wasp stings also along with Tea Tree or Wintergreen essential oil). Herbs that will help detox the body of the poinson more quickly are yellow root and burdock. 2 capsules of both 3 times daily, tincture form 3 times daily (I find the teas don’t work as well in emergency situations). Now, infection can be a concern, so I would alternate using Echinacea and Goldenseal root (or tops). 2-3 capsules each alternating each herb every 3 hours (you may use tincture also, an adult would need 40 drops of the tincture). If I had to pick one only of these herbs I would use Goldenseal as it works best on ‘membranes’ and the lymph system. Mind you, you will most likely experience swelling, burning, pain, etc. and infact the area may swell and be hot to the touch, as long as it does get much bigger than say twice the size of a silver dollar within 3 days you will be doing just fine using the alternatives. Persistance is key in treatment with alternatives. You may find that redness travels along the lymph nodes and this is normal also as it is the lymph nodes that remove the toxins, if you see if, apply the oils (excepts basil) along the redness where the lymph nodes are, but personally I have never had this happen. Be patient and persistant.